The census images below are from microfilms I copied at the Saint Augustine Historical Research Society Library, 6 Artillery Lane on the corner of Aviles Street and Artillery Lane. Click on the image above to see Roque Leonardi's entry in the 1784 Census. 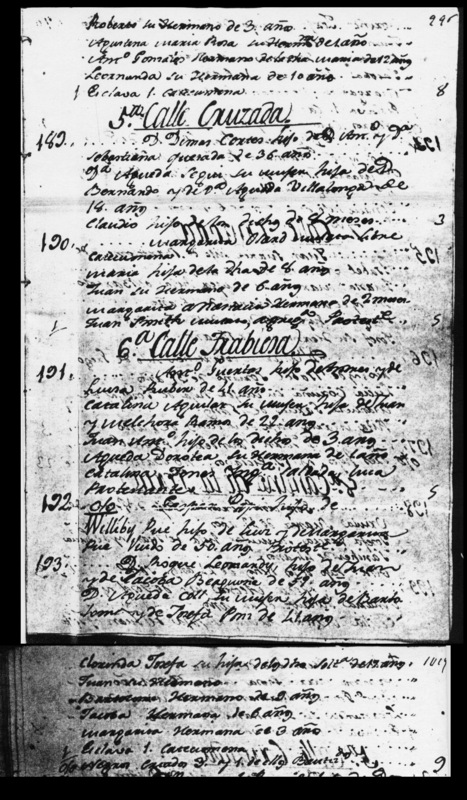 Click on the image above to see Roque Leonardi's entry in the 1786 Census. Roque Leonardi farmer of Italy age 44. 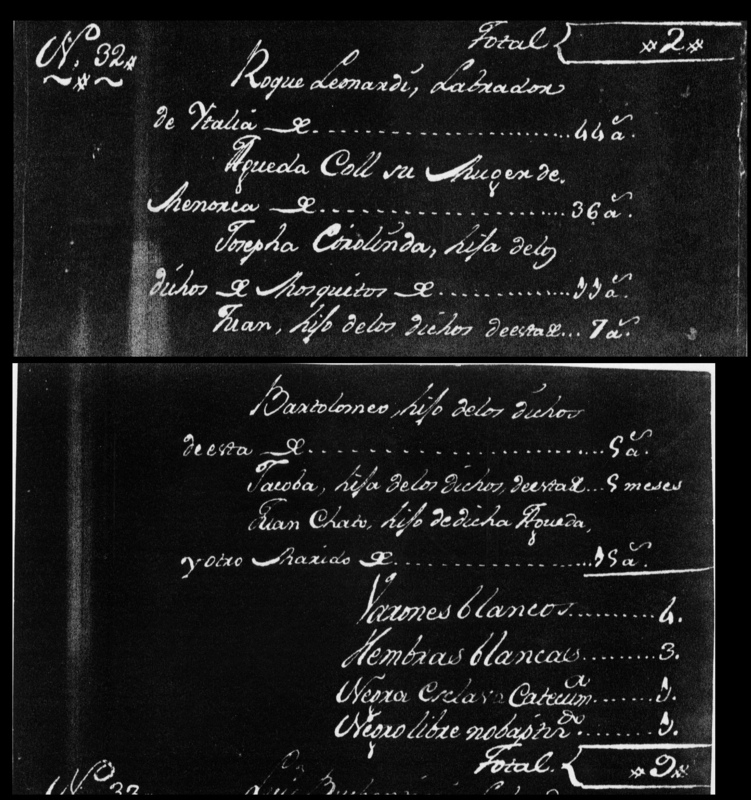 Click on the image above to see Roque Leonardi's entry in the 1793 Census. Jarvis, Grace H, Translation of 1784 Census, GA Genealogical Mag., No. 39, Winter 1971. Mills, Donna Rachal, Floridas First Families, Vol.1, Mills Historical Press, Tuscaloosa AL, & Naples, FL, 1992. Rasico, Philip D, El Llibre Dor Dels Menorquins De La Florida, Institut Menorqui dEstudis, Palma de Mallorca: Universitat de las Illes Balears, 1998.